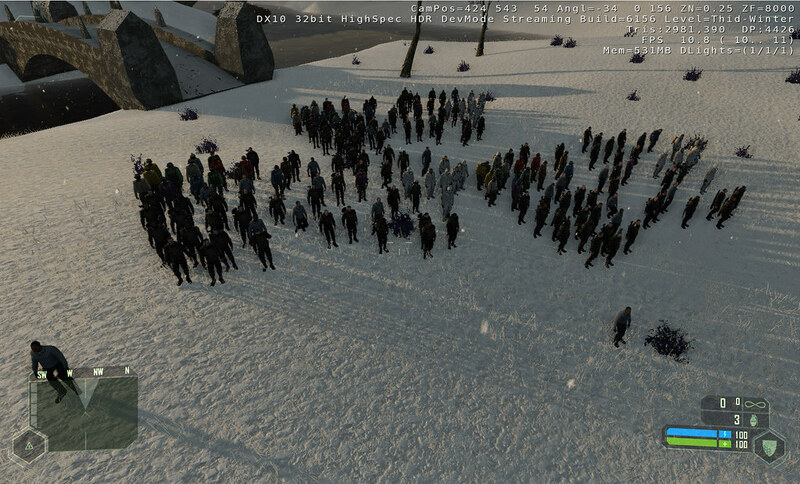 Performance testing with 200 character models. From those I think 30-40 are unique models, rest are just different textures with same models and about half of models have at least one extra weapon model. FPS is 10-13 when all those are visible at same time and still have full shadows from each model.